This gold and diamond ring from Henri Daussi gets back to basics! 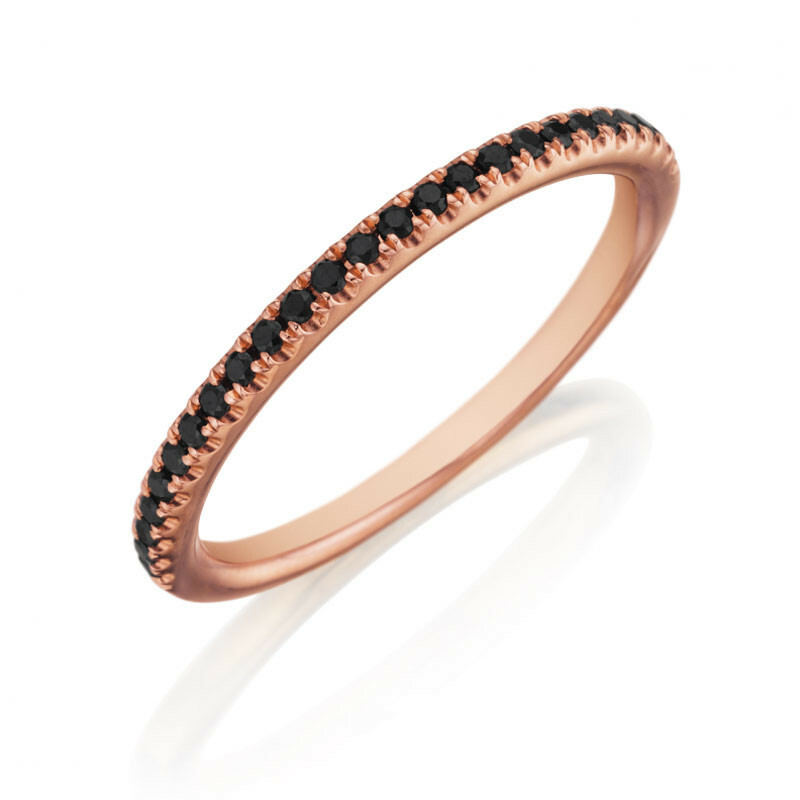 Crafted in 14K rose gold, the pretty piece of jewelry features a single row of round brilliant prong-set black diamonds. 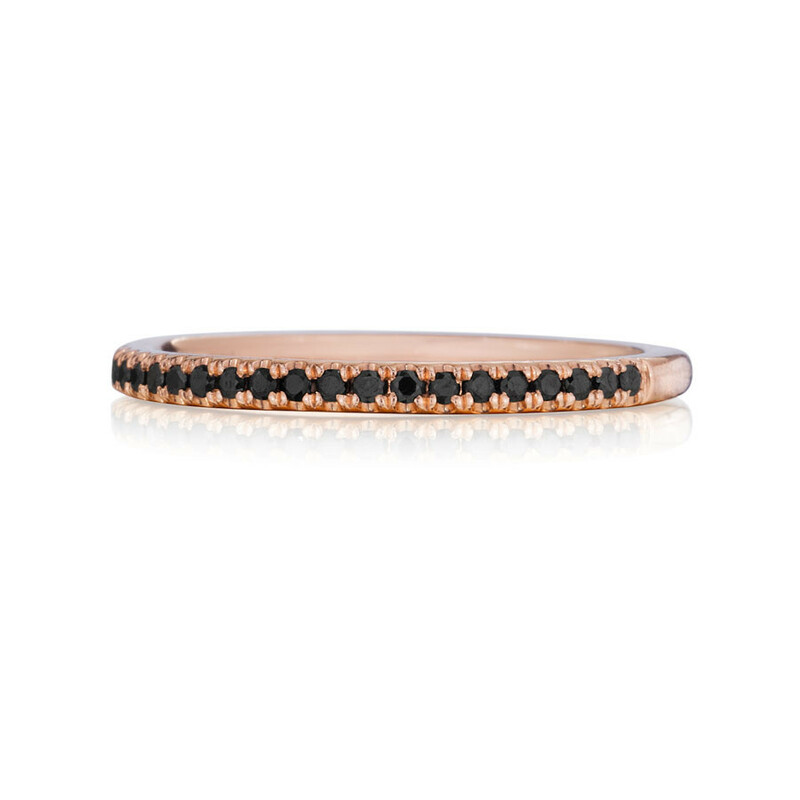 The band works equally well as a wedding band or stackable ring, and is likely to become a fundamental building block of your luxe look.